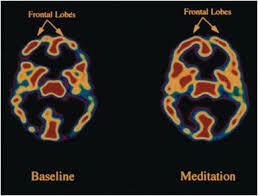 ﻿Neuroplasticity explained how in meditator's brains actual physical changes result from regular meditation. 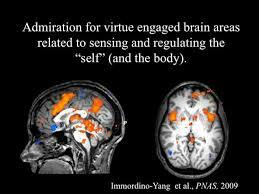 Among those are a heightened activity in both the "compassion" centre of the brain, and the "action" centre of the brain. Meditation seemed to spur the meditator to be more concerned with other's suffering, and to be moved to act on that concern. ﻿ The brain is made up of two hemi­spheres connected by a bundle of nerve fibers (the corpus callosum) in the middle. The left hemisphere controls the right side of the body, and the right hemisphere controls the left side. The left hemisphere is usually the logic hemisphere, dealing with precise details, pieces, techniques, etc. The right hemisphere is usually the gestalt hemisphere and deals with the whole picture, images and emotions. However, in some rare cases, the hemispheres can switch processing roles. The corpus callosum allows the hemispheres to communicate as a complete unit. When they are communicating well, we have calm, integrated thought and an optimal learning state called whole-brain thinking. ﻿When one hemisphere is processing information more predominantly than the other, it's vexing to the brain and our thinking is negatively impacted. How we move also dramatically affects the ﻿brain. Exercise can either stimulate or strain the psyche, effective mediation will balance the brain, thus the mind. The biggest impact of using mediation is that it gives people a constructive opportunity to improve their relationships. It is face saving and no one feels humiliated. A mediator can get to the root of a problem rather than just treating its outward symptoms. It gives people a new way of dealing with conflict makes people sit up and think about their attitudes and behaviours, but without blame and judgement. ﻿The goal of meditation is to focus and quiet your mind, eventually reaching a higher level of awareness and inner calm. Therefore concentration is the prime directive. It may come as a surprise to learn that you can meditate anywhere and at any time, allowing yourself to access a sense of tranquility and peace no matter what's going on around you. The Harvard study observed that self-awareness and compassion regions of the brain grow larger through meditation, while the stress area shrinks. During focused meditation activity in the parietal lobe (which orients us in space) goes down. 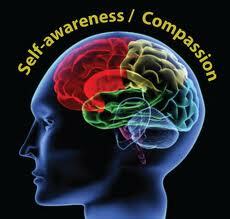 Activity in the frontal lobe involved in paying attention goes up, creating a feeling of ‘oneness’. Do we need to mediate? Below are examples of situations that are experienced during everyday life, which effect us adding stress and reducing our life force. If these situation are not managed or recognised clearing or ground of self is very difficult. Arguments over performance standards, Differences in working style, Management style and authority clashes, Interpretation of roles and responsibilities, Questions over compliance to rules and policies, Competition for limited resources, Feeling undervalued, criticised or excluded Requests for time off work, Health,Stress. Health or home life stress affecting work performance, Moodiness and irritability, Pressure of work Return to work following illness , suspension, Right to request flexible working, Workplace conditions. Change in work pattern, Downsizing consequences, Fall out from reorganisation, Internal promotion above colleagues, Negotiating job descriptions, Workload increase. It is our nature to become attached to people, places and things. It can be very difficult to monitor ourselves let go when necessary is a endless pursuit these attachments whether good or bad can the limiting factors in our daily life. These activities can become addictive behaviour in many there are the root of one's suffering. But why is it so difficult to let go? Why is it so hard to give up a bad habit or an ex-lover? The truth is that most of us suffer from a feeling of inner emptiness that we are trying to fill up with our various attachments often without much success. One person may eat too much, another may cling to an unloving partner while a third may get addicted to social media. But none of this can fill our inner emptiness. So a great technique to letting go of any person, place, or thing that enters your mind is to place these items into a water bubble then watch the thought float out of your minds inner eye. You will have to repeat this 8 to 10 time or more in the beginning, as you practice this technique the easily and quicker this clearing of the mind will become. 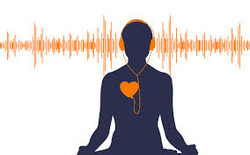 Usually this technique is used during contemplation, reflection, still or moving mediation, it can be used in general situation however this application is far more challenging in the beginning. The most basic and universal of all meditation techniques is breathing meditation. Pick a spot above your navel and focus on that spot with your mind. Become aware of the rising and falling of your abdomen as you breathe in and out. Don't make a conscious effort to change your breathing patterns, just breathe normally. Try to focus on your breathing and only your breathing. Don't think about your breathing or pass any sort of judgment of it (e.g. that breath was shorter than the last one), just attempt to know it and be aware of it. Some mental images which might help you include: imagining a coin sitting on the spot above your navel, rising and falling with your breath; imagining a buoy floating in the ocean, bobbing up and down with the swell and lull of your breathing; or imagining a lotus flower sitting in your belly, unfurling its petals with every intake of breath. Don't worry if your mind starts to wander (you have your bubble technique) and if you are a beginner, like anything, becoming good at meditation takes practice. Just make an effort to refocus your mind on your breathing and try to think of nothing else other than breathing and counting your breath. Drown out the chatter and attempt to clear your mind by using the bubble technique. Doing a body scan involves focusing on each individual body part in turn and consciously relaxing it. It is a simple meditation technique which allows you to relax the mind as you relax the body. Close your eyes and pick a starting point on your body, usually the toes. Concentrate on whatever sensations you can feel in your toes, and make a conscious effort to relax any contracted muscles and release any tension or tightness. Once the toes are fully relaxed, move on to your feet and repeat the relaxation process. Continue along your body, moving upwards from your feet to your calves, knees, thighs, buttocks, hips, abdomen, chest, back, shoulders, arms, hands, fingers, neck, face, ears and top of your head. Take as long as you want. Once you have completed the relaxation of each individual body part, focus on your body as a whole and enjoy the sensation of calmness and looseness you have achieved. Focus on your breathing for several minutes before coming out of your meditation practice. Walking meditation is alternate form of meditation which involves observing the movement of the feet and becoming aware of your body's connection to the earth. If you plan on performing long, seated meditation sessions, it is a good idea to break them up up with some walking meditation. Choose a quiet location to practice your walking meditation, with as few distractions as possible. The space doesn't need to be very large, but you should be able to walk at least seven paces in a straight line before needing to turn around. Remove your shoes, if possible. Holding your head up with your gaze directed straight ahead, and your hands clasped together in front of you. Take a slow, deliberate step with your right foot. Forget about any sensations or feelings in the foot and try to concentrate on the movement itself. After taking the first step, stop for a moment before taking the next. Only one foot should be moving at any given time. When you reach the end of your walking path, stop completely, with your feet together. Then, pivot on the right foot and turn around. Continue walking in the opposite direction, using the same slow, deliberate movements as before. While practicing walking meditation, try to focus on the movement of the feet and nothing else, in the same way that you focus on the rising and falling of your breath during breathing meditation. Try to clear your mind and become aware of the connection between your foot and the earth below.